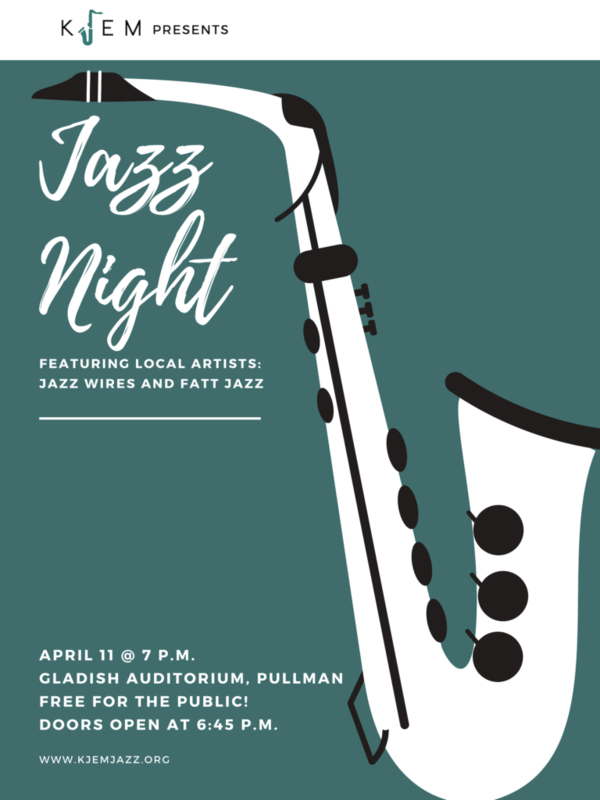 Join KJEM 89.9FM in Pullman at the Gladish Auditorium, April 11th, 2019 at 7:00 p.m.
Jazz Night spotlights local to the Palouse groups Jazz Wires and Fatt Jazz. No ticket or RSVP required! Simply show up, kick back, and relax with this free community concert. In the meantime, enjoy some KJEM Jazz online right here. Excited to tell us you’re going to be there? Send a Tweet, a Facebook post, or an email to [email protected]!